Winter Park Resort has a variety of gear to suit every level. Our rental technicians will help match you up with equipment that will enable you to get the most out of your day.Now offering over 400 NEW pairs of kids Head skis and 800 NEW pairs of kids' boots, NEW Head rental ski equipment for adults, and the hottest demo skis. 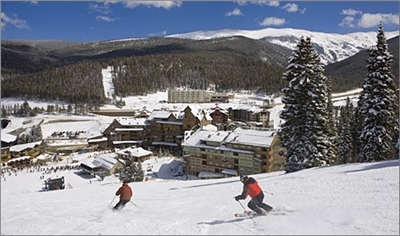 You can eliminate equipment worry with Winter Park Resort Rentals. This equipment abides by the belief that someone born to ski should not have to wait until they're an adult to get on a great pair of skis. Available for kids ages 12 and under. Package includes skis, boots, poles and kids rentals also include a helmet. All equipment rentals include a helmet. All equipment rentals include a helmet. All equipment rentals include a helmet. All equipment rentals include a helmet. All equipment rentals include a helmet. This equipment abides by the belief that someone born to ski should not have to wait until they're an adult to get on a great pair of skis. Available for kids ages 12 and under. Package includes skis, boots, poles and kids rentals also include a helmet. All equipment rentals include a helmet. All equipment rentals include a helmet. This equipment abides by the belief that someone born to ski should not have to wait until they're an adult to get on a great pair of skis. Available for kids ages 12 and under. Package includes skis, boots, poles and kids rentals also include a helmet. All equipment rentals include a helmet. Rentals include: Board, Bindings, Boots and a Helmet. Available for kids ages 12 and under. Rental includes: Board, Bindings, Boots, and Helmet. Available for kids ages 12 and under. All equipment rentals include a helmet. Rental includes: Board, Boots, Bindings and Helmet. Available for kids ages 12 and under. Rental includes: Board, Bindings, Boots and Helmet. Available for kids ages 12 and under. Want to ride on this season's gear but no plans to buy? Then High Performance is for you! Choose from two models of all mountain excellence or our women's specific skis. Brands available include K2, Rossignol and Head. High performance equipment is just like demo skis, but without the sales pitch! Age 13 and up. Package includes skis, boots and poles. High Performance Snowboard Package - Our High Performance Package offers a choice of several models from K2 and Burton, excellent for riders with specific styles and skills, from Park and Pipe, powder, bumps or cruising groomers. Great boards offering progressive, versatile rides - designed for intermediate riders looking to take it to the next level. Our High Performance gear offers both Women's Boards and Boots making it an excellent choice for progressing female riders. These boards offer easy turning, better stability at high speeds and more flotation in the powder. Package includes snowboard boots. Ages 13 and up. 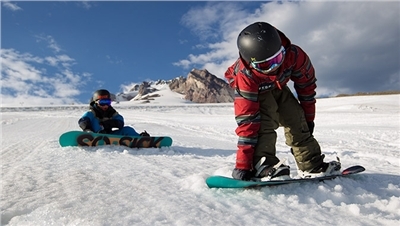 Package includes snowboard, bindings and snowboard boots. All-mountain skis for all abilities, Performance skis are stable and responsive and great for all snow conditions. This year's ski is the Head Rev 75. Age 13 and up. Package includes skis, boots and poles. All equipment rentals include a helmet. 1 Day Performance Snowboard Package Targeted for intermediate riders, the Burton Progression is a great all-mountain board suitable for riders specifically looking for a big mountain and terrain park equipment. Package includes snowboard boots. Our Burton performance gear also offers Women's style boots making it an excellent choice for progressing female riders. Ages 13 and up. Package includes snowboard, bindings and snowboard boots. Performance Snowboard Package Targeted for intermediate riders, the Burton Progression is a great all-mountain board suitable for riders specifically looking for a big mountain and terrain park equipment. Package includes snowboard boots. Our Burton performance gear also offers Women's style boots making it an excellent choice for progressing female riders. Ages 13 and up. Package includes snowboard, bindings and snowboard boots. Performance Snowboard Package Targeted for intermediate riders, the Burton Progression is a great all-mountain board suitable for riders specifically looking for a big mountain and terrain park equipment. Package includes snowboard boots. Our Burton performance gear also offers Women's style boots making it an excellent choice for progressing female riders. Ages 13 and up. Package includes snowboard, bindings and snowboard boots. .
Beginner ski built to instill confidence. Deep side-cut for easier pivoting and carving.Targeted for the beginner up to intermediate skier, our sport ski this year comes to you from Head Skis. It's an easy turning, light weight, go anywhere, fun ski. With over 550 new pairs added to our fleet this year it is the perfect offering for those who "just want a ski". Targeted for beginning riders, the Burton LTR - Learn to Ride - is a great all mountain board. With the perfect board for beginners, our Burton Learn to Ride package makes the first days on snow easier. Specially designed features on the snowboard make the edge to edge transition easier to learn and progress. Package includes snowboard boots. Our Burton sport package also offers Women's specific boots making it a great choice for the girls. Ages 13 and up. Package includes snowboard with bindings and boots. Written Cancellation Policy | Rental reservations are non-refundable inside of 30 days prior to arrival. Written Deposit Policy | Payment is taken in full at the time of booking. Other | Payment is taken in full at the time of booking. Rental reservations are non-refundable inside of 30 days prior to arrival.